Both Attorney General Sessions and Homeland Security Secretary Kirstjen Nielsen defended this policy. Sessions said, "We cannot and will not encourage people to bring their children by giving them blanket immunity from our laws" and Nielsen remarked, "We have to do our job. We will not apologize for doing our job. We have sworn to do this job." In June 2018, dozens of protest demonstrations were held across the country. There is a nationwide rally planned for June 30 in Washington, D.C. and sister marches are expected in other cities across the country to protest these policies. Many religious groups also oppose the policy. Two recent public opinion polls show that most people in the U.S. oppose this policy: a June 18 poll released by CNN found that two-thirds of Americans oppose the policy and a Quinnipiac University poll of American voters released the same day found similar results. On June 20, President Trump signed an Executive Order which claimed to end family separations at the border. However, it does not guarantee that families will not be separated and it allows for immigrant children and families to be detained (i.e. in jail) indefinitely. In addition, the Order did not specify a plan to reunite the thousands of children, some as young as three months old, who have already been separated from their parents. What have you heard about children and their parents being separated and in jail at the U.S border? What do you think it is like for these children to be separated from their parents? What do you think it might be like for families to have to stay in detention centers? Have you heard about other groups of people seeking asylum and what do you know about that? Do you think families should be held in jail cells while they are waiting to go to court? What kind of message does the indefinite detention of families and children send to our society and the world as a whole? If you were a U.S. Senator or Representative what would you do? How would you vote on the bills that have been introduced to keep families together and make sure they are treated with compassion? In addition to the steps already being taken, what do you think should be done about the “zero tolerance” policy? 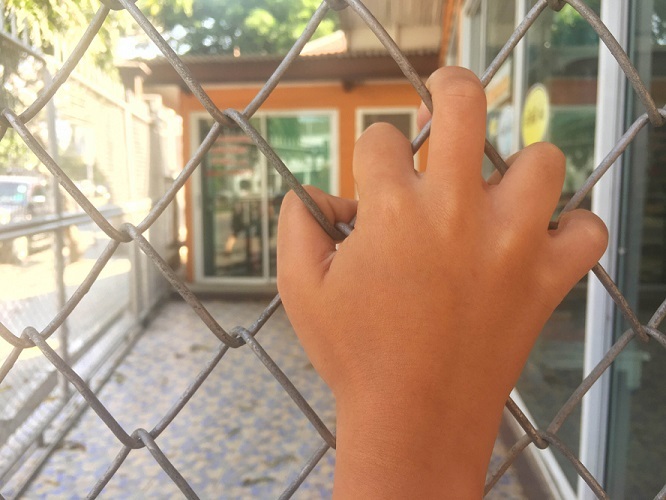 Sign ADL’s petition urging the Department of Justice (DOJ) and the Department of Homeland Security (DHS) to end the “zero tolerance” policy and keep families together, or create a petition of your own. This Table Talk piece from the Anti-Defamation League website was published and updated on June 21, 2018 and can be found here. What Should Be Done About Deferred Action on Childhood Arrivals (DACA)?